The word Copacabana seemed to follow me around in South America from the shores of Lake Titicaca in Bolivia to Rio de Janeiro. 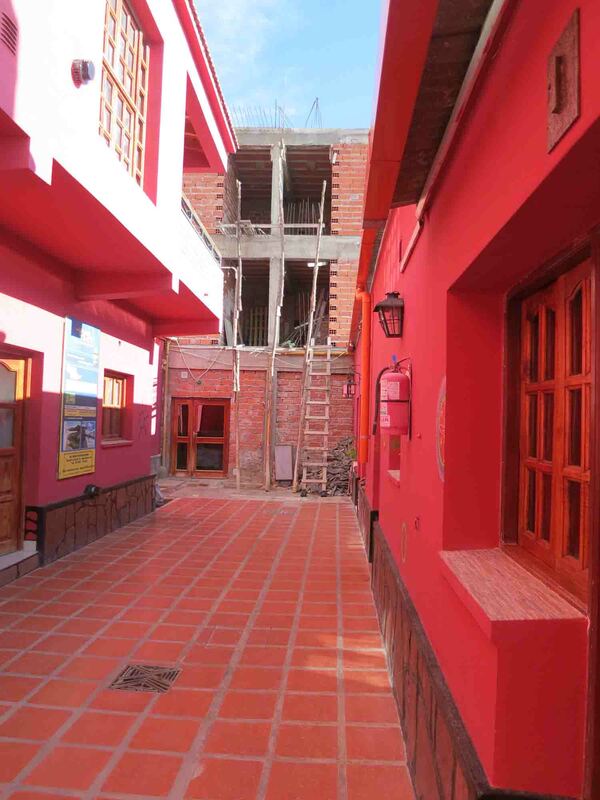 And then there was the Hostel Copacabana in the dusty border town of La Quiaca. I crossed the border and decided to walk to the hostel. It was a bit further than it looked on the map from the border post, but I didn’t notice any taxis at the time and I got there in the end. Work goes on at the back. It looks like a nice-ish place. They were doing some work at the time, I was one of maybe a handful of people there. 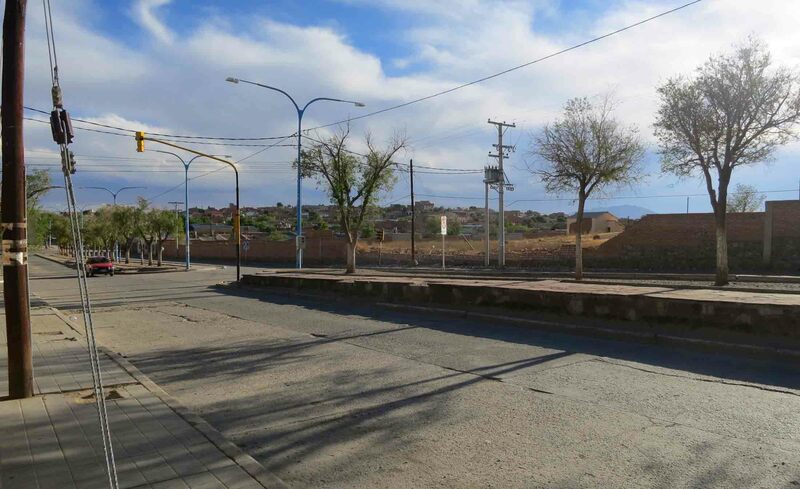 La Quiaca is really only a brief stop on a journey to or from Bolivia. Which is was for me, arriving late afternoon and leaving the next morning. 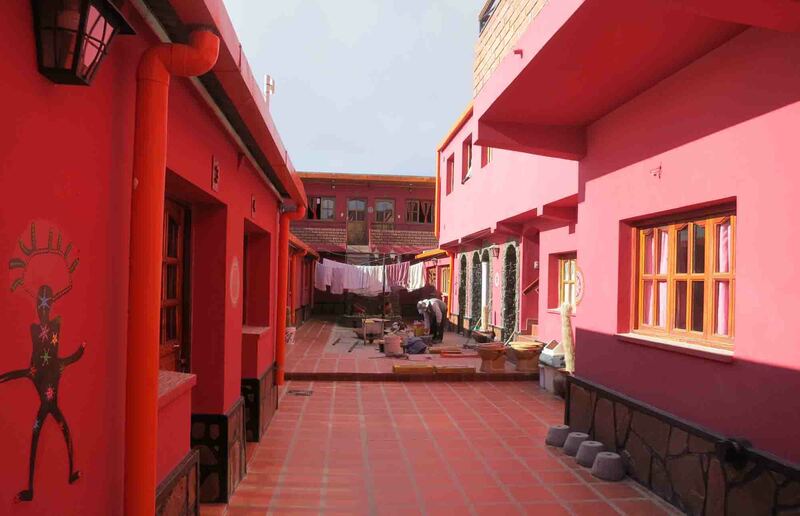 It had been freshly painted and I had a single room with a shared bathroom, which I had to exit my room and walk along the open courtyard back to the main building to reach. Which would have been fine, however it happened to be the night of a major storm. Rain belted down like no-one’s business and it was quite the midnight dash or two I had to manage. Shower was decent, but also shared. 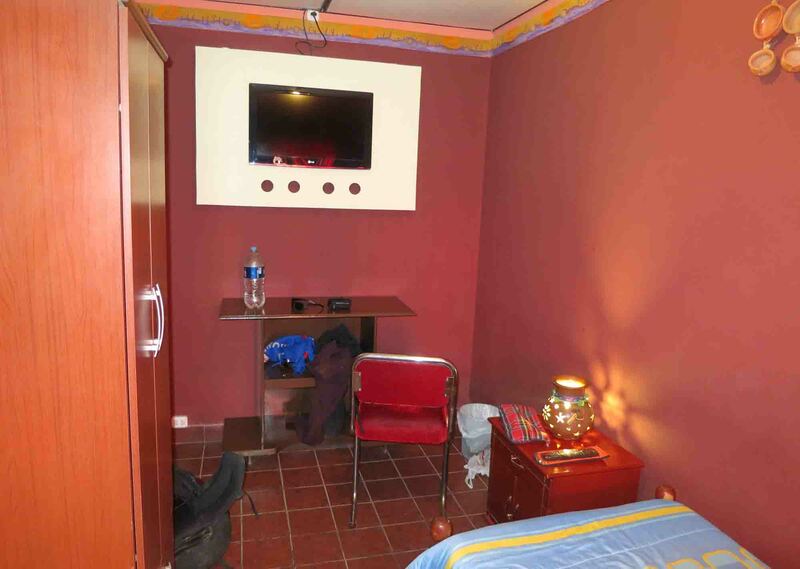 The room was small, it had a heater (cool at night) and a TV that I don’t remember using. Wifi was poor, but I suspect you can say that for every place in La Quiaca, it’s hardly near much. 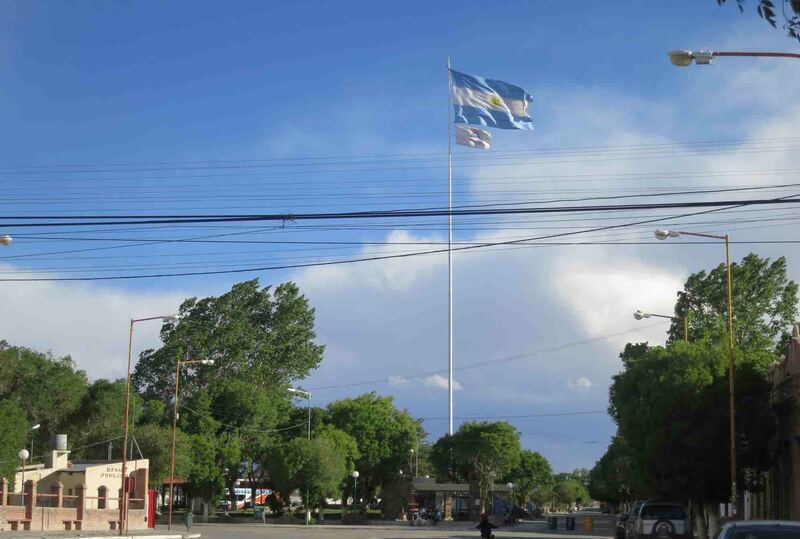 The town on the Bolivian side of the border is far bigger. As I said, I hardly saw a soul whilst there. No English spoken that I remember, there was a nice restaurant that was only doing breakfasts. The breakfast was mostly bread and jam, but it was included in the price so that was nice. It’s not perfectly located for the border or the bus station, that’s a 15-minute walk. But nevertheless it’s comfortable enough and the buildings are new and clean. It cost around which was a little more than I was expecting, but that was my introduction to the prices in Argentina! Laundry on the line at the hostel. 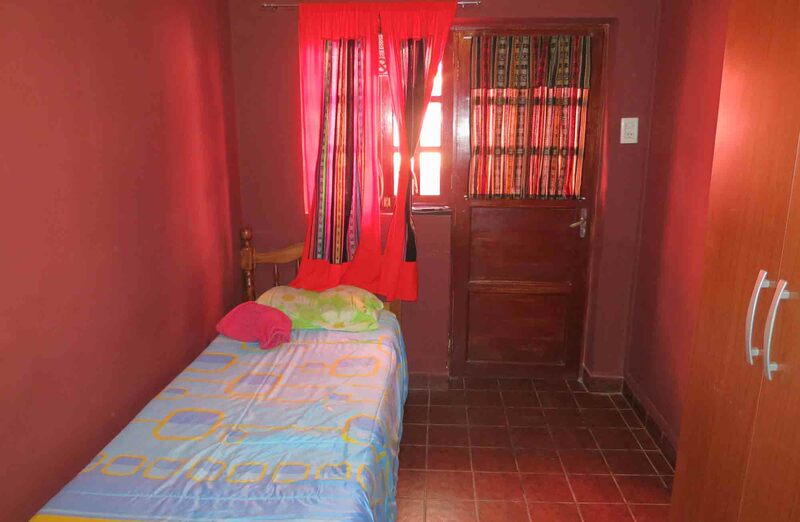 Anyways, all in all it was fine place to stay, comfortable and nice room, just with the rain would have been nice to not have to go outside to reach the toilet!